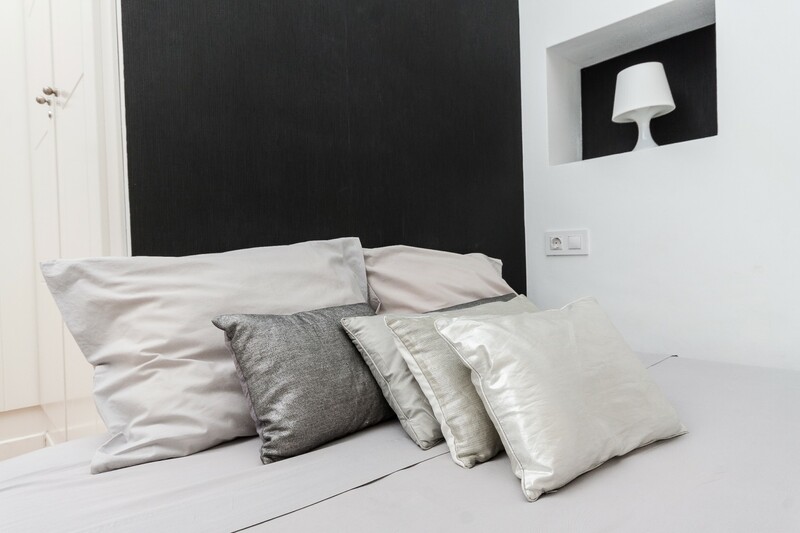 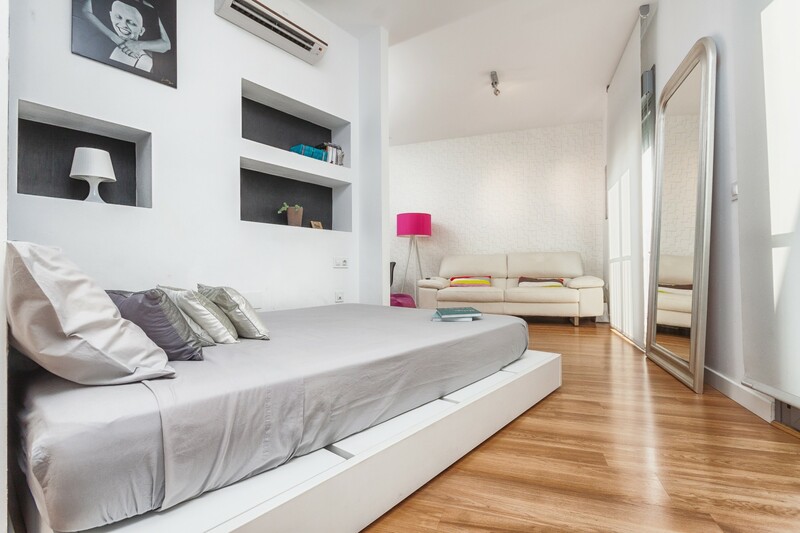 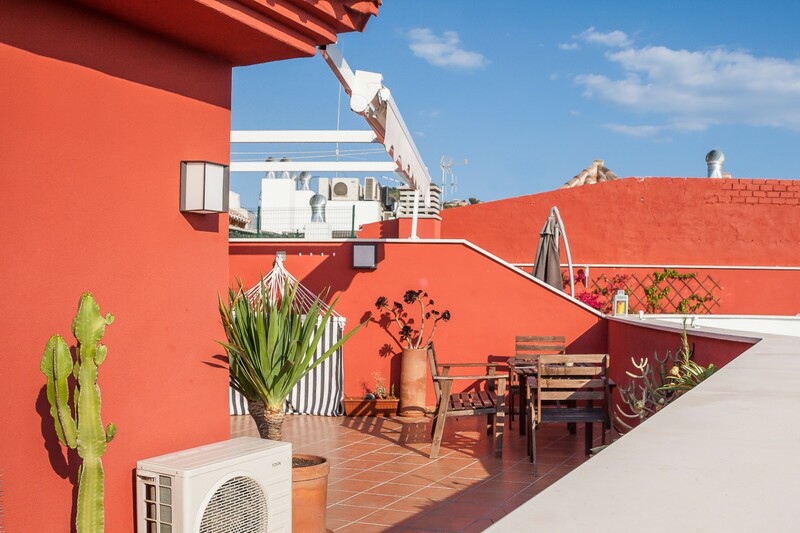 This centrally located holiday apartment is in a quiet residential area on the edge of the Historical centre of Malaga. 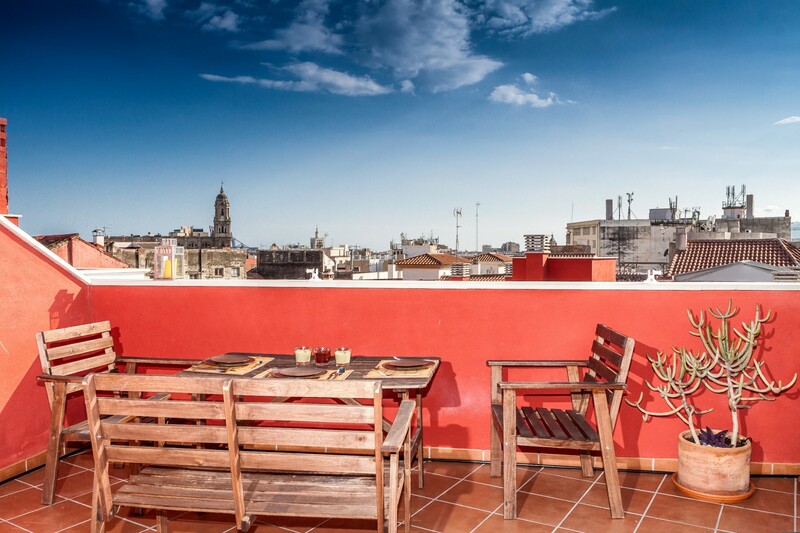 It is a short walk to the famous Plaza de Merced and only 15 minutes from the beaches of the Malagueta. 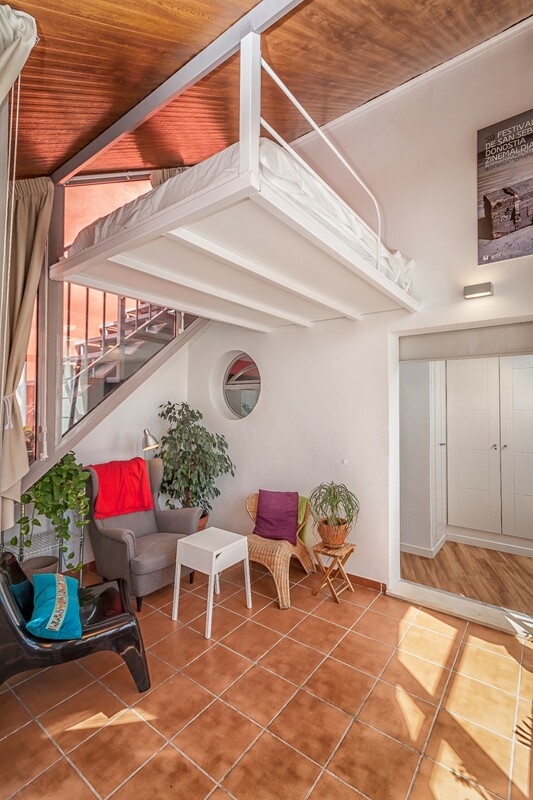 This holiday flat features a sleeping area with a double bed, living room with sofa, dining table, flat screen TV, double bed, wardrobes, fully equipped, open-plan kitchen, large bathroom, plus another small living room with desk and a ladder accessible loft with double bed. 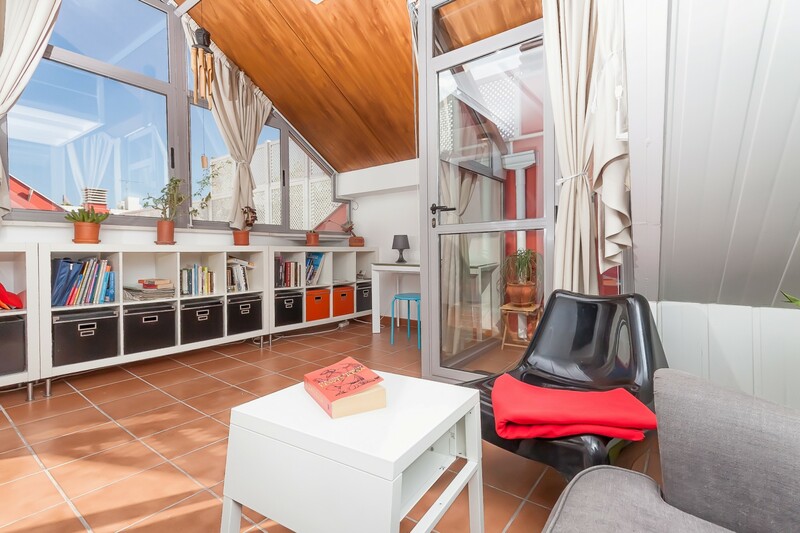 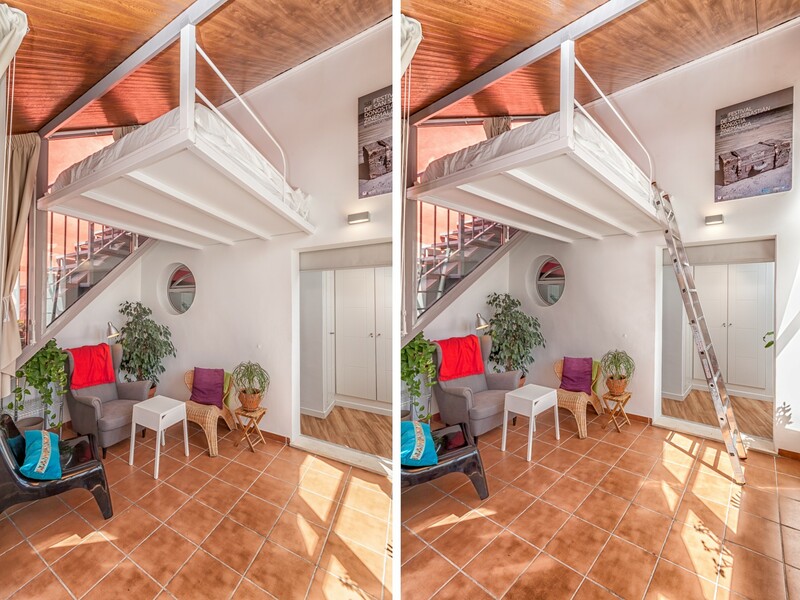 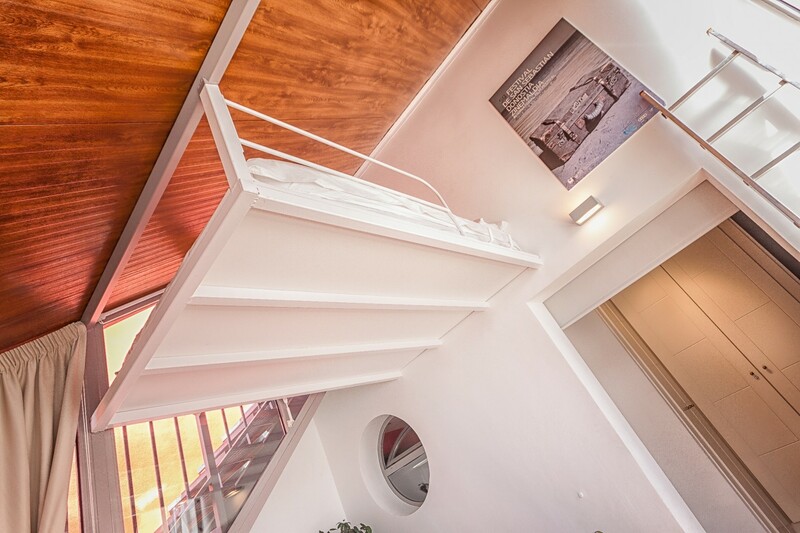 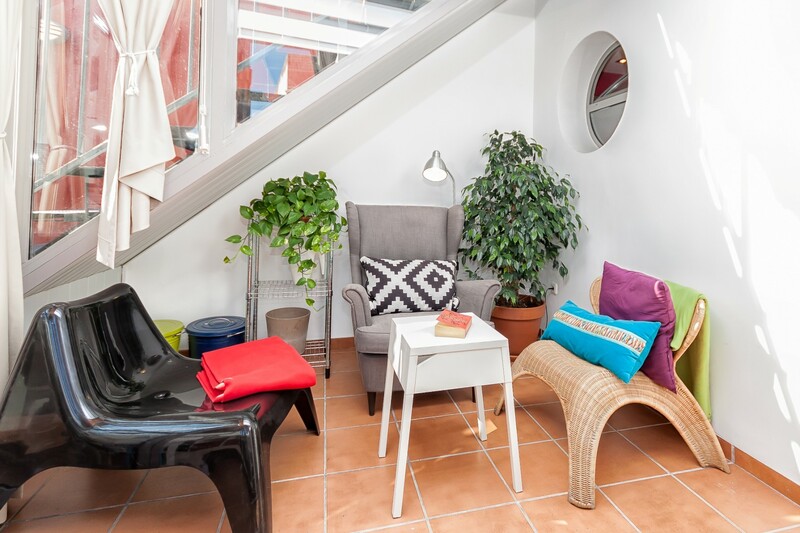 A staircase leading up from the living room takes you to a beautiful terrace with views across the city of Malaga. 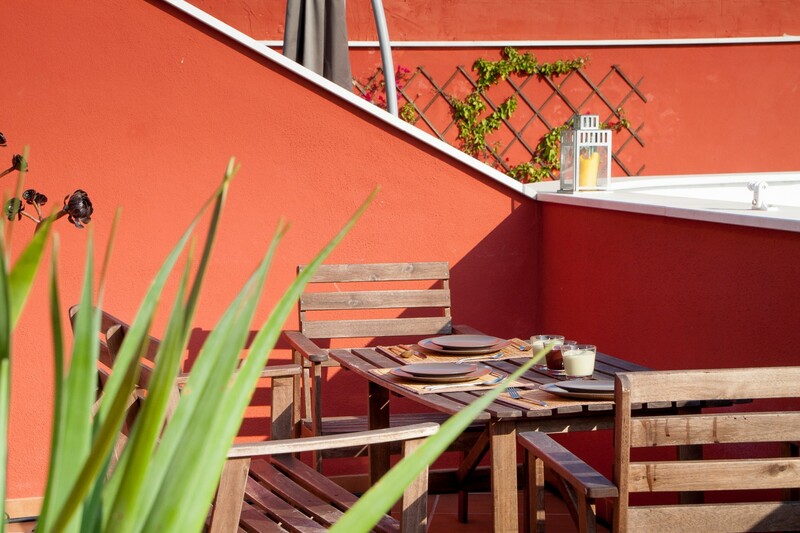 Relax in the hammock while the sun sets or enjoy a romantic dinner al fresco. 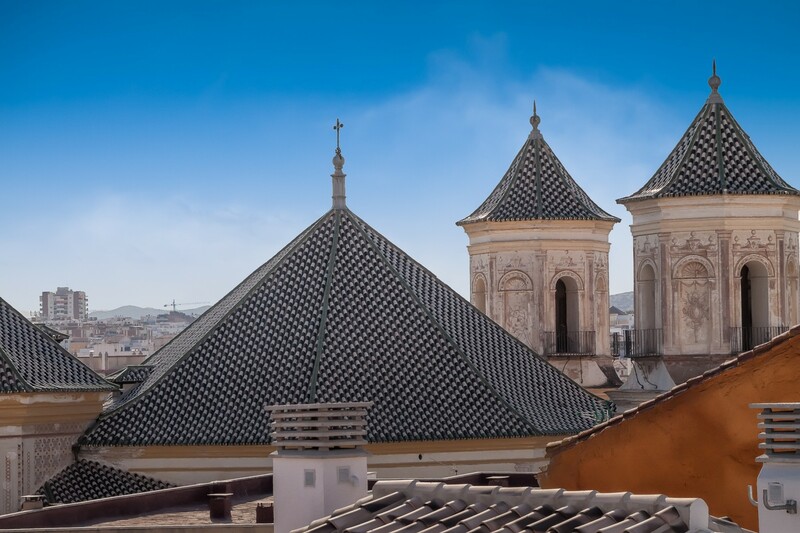 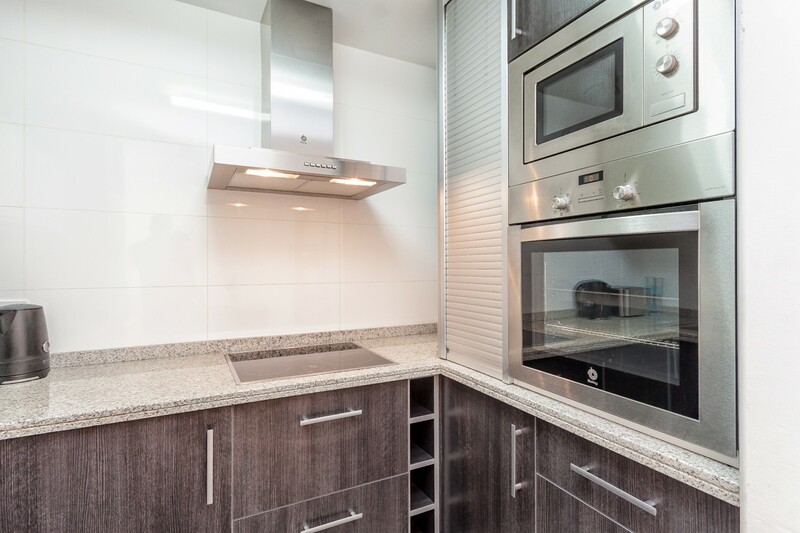 This highly recommended apartment in Malaga has been finished to a high quality and is in an ideal location with views of the cathedral. 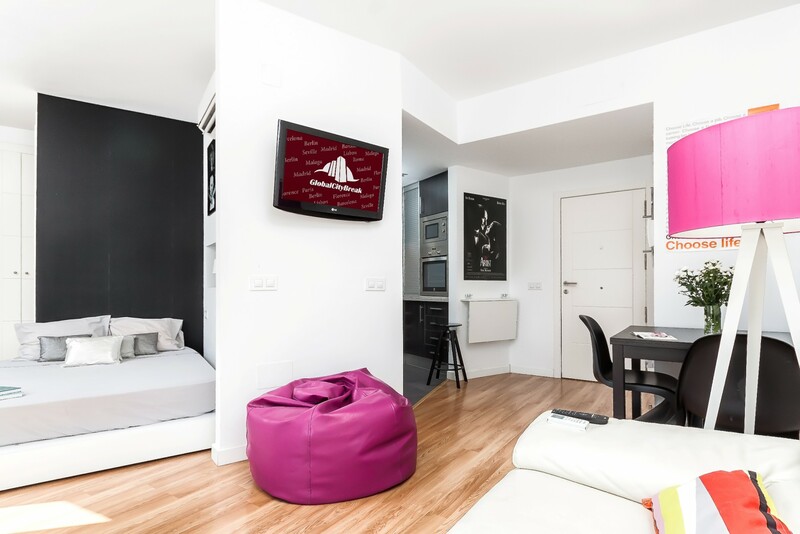 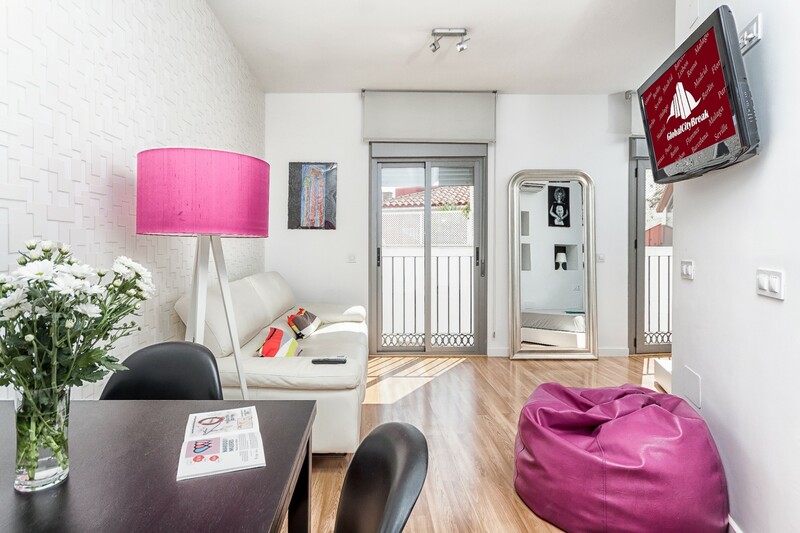 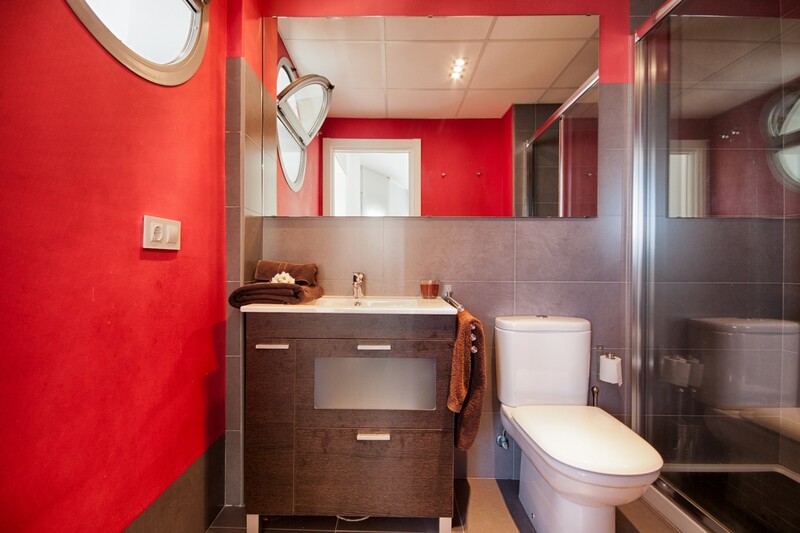 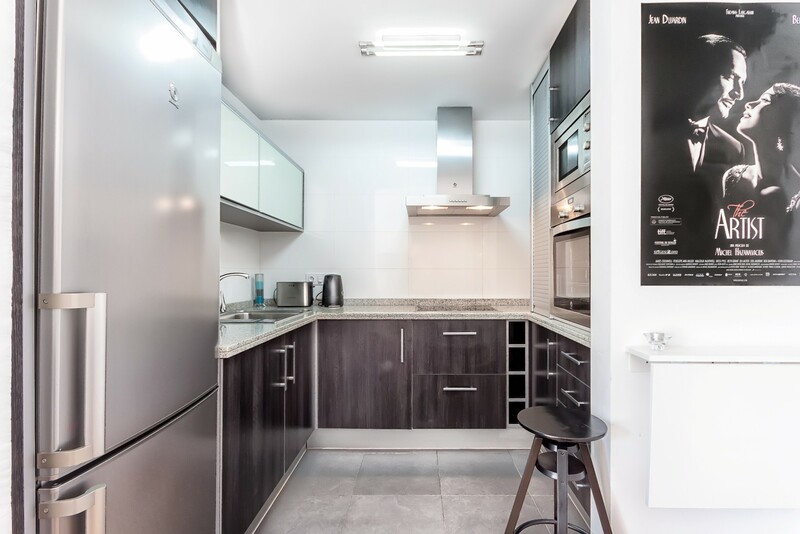 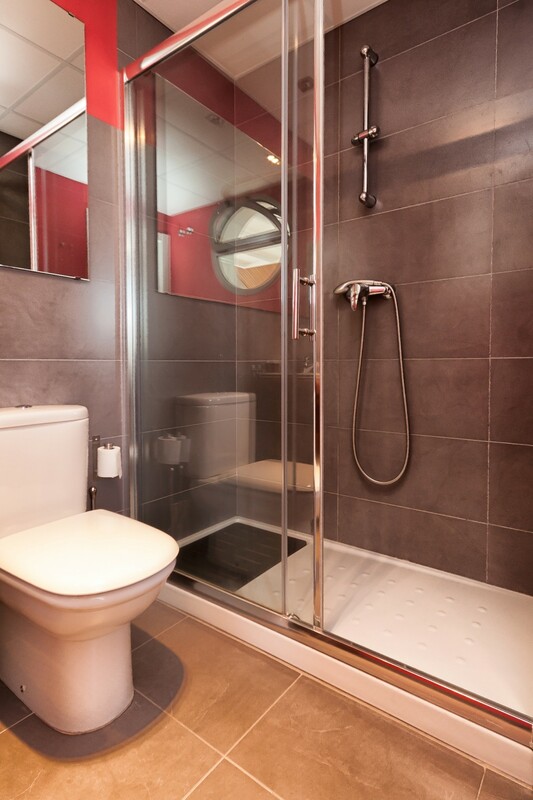 1 TV, 3rd floor, lift, garden furniture, 25 m² terrace, iron, internet (Wi-Fi), hair dryer, 45 m² property, air conditioning (hot/cold), air conditioning throughout the house, Garage in the same building.